I bought this dress, new with tags, at a garage sale a couple of years ago. At size 12 I knew it would be awhile before Larke could wear it, but I loved it so I bought it. I paid $10 for it which is way below the retail sticker price. It hung in the closet for at least 2 years. 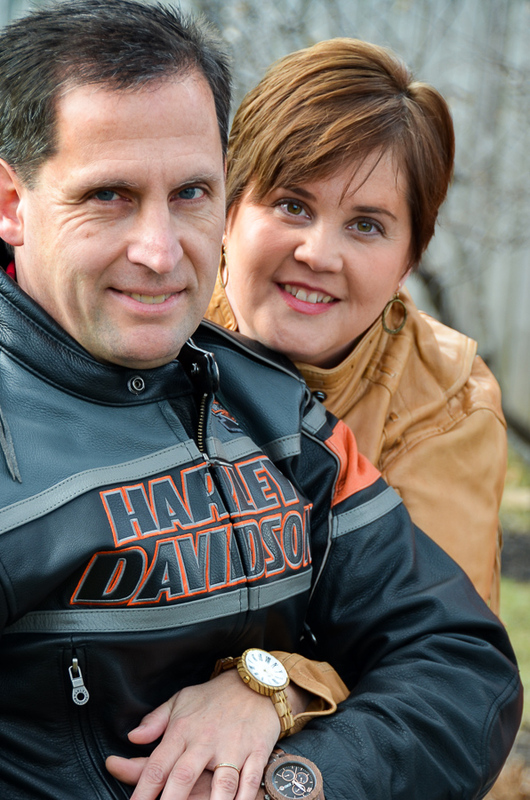 Larke insisted she didn’t like it – of course. This spring I decided she was going to wear it whether she liked it or not. It was hanging there, she needed church clothes and there was no reason that dress couldn’t be altered to fit her. She will probably never wear a size 12 she is such a twig of a thing! The link was right but it was way to wide for her. So I tore it apart, took about 2 inches out on each side and put it back together. It’s a bit hard to see just how wide it is on here but can you tell the fit is just a bit too baggy? See how much I can fold it over at the side? And I could do this on both sides. I wanted to cut it down by a bit over one inch on the fold, making it a total of around 2.25 total on each side. Yes she is a dink! 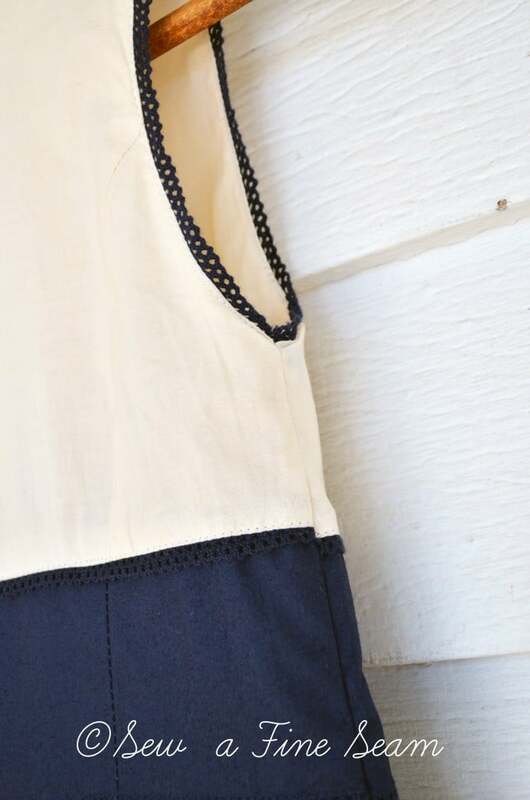 This dress has a lining, as most well-made dressy dresses do. 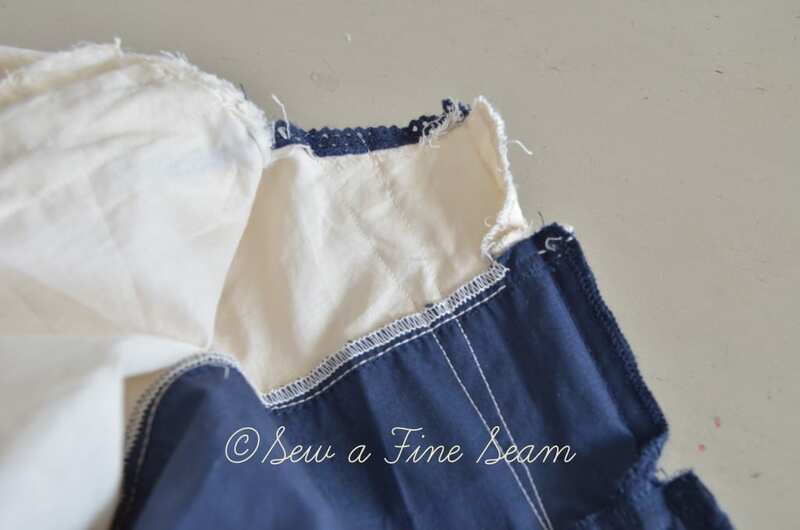 I started by tearing apart the lining seam from the dress seam at the armhole. Up where you see the navy trim. 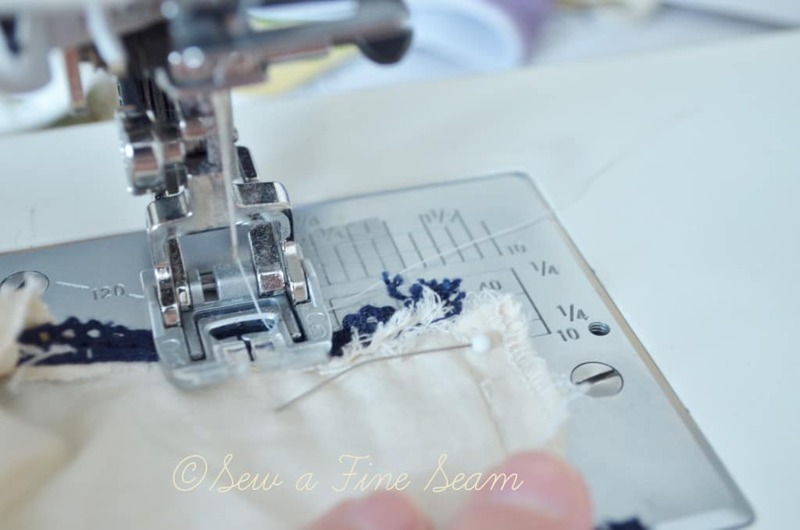 Where the dress and lining are sewed together. 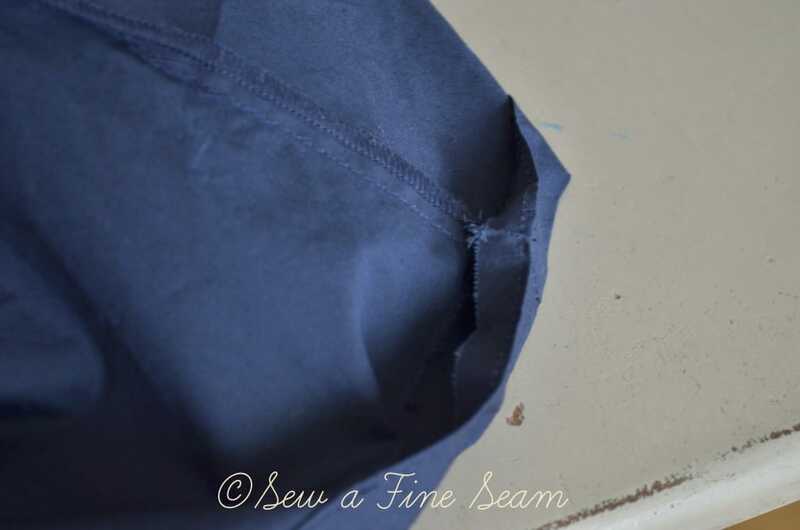 To get to that seam you can open up the lining side seam a bit too. 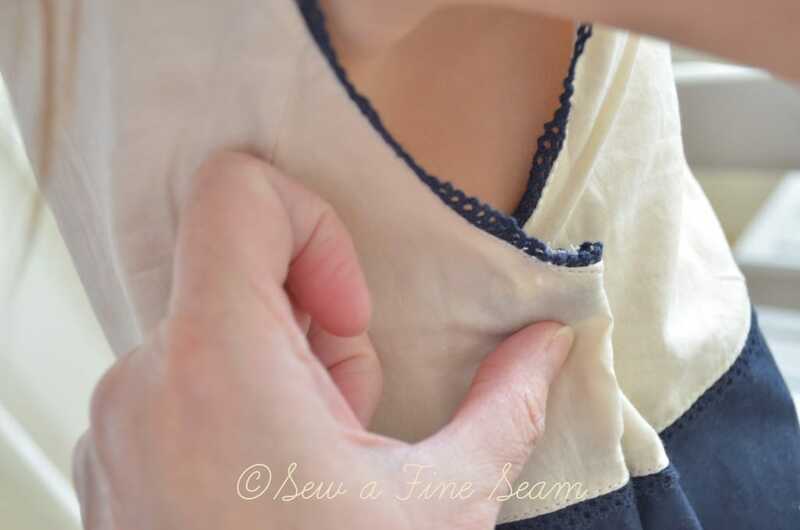 You don’t have to take the side seams apart only the seam at the armhole that finished the dress. 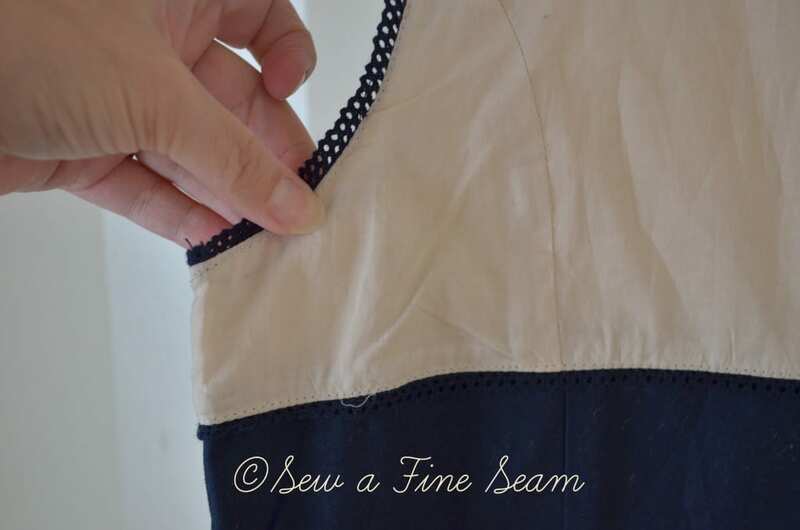 You CAN open up the side seams if it is helpful in getting to that armhole seam. 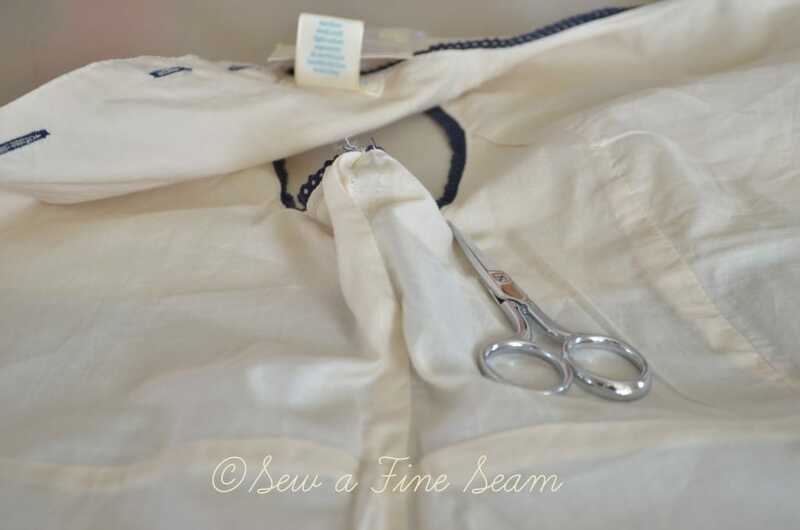 Most seams at armholes or necklines have been understitched so you will need to take that stitching out too. 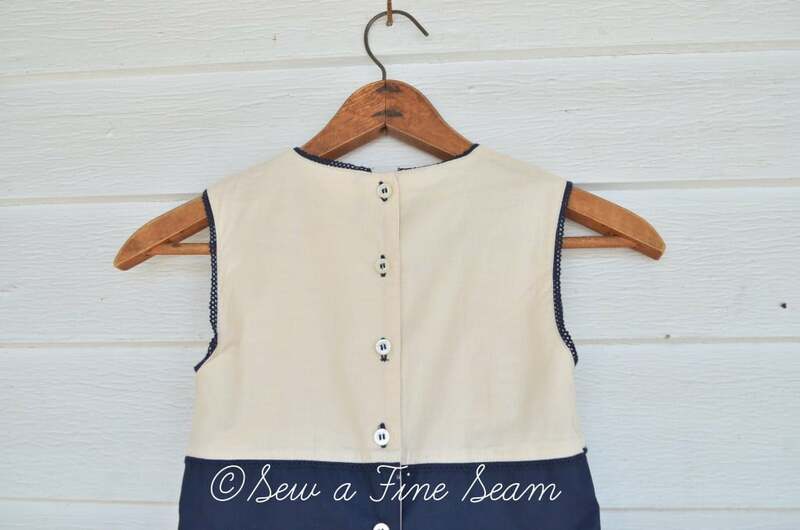 I also tore out the seam of the dress that connected the cream fabric to the navy. 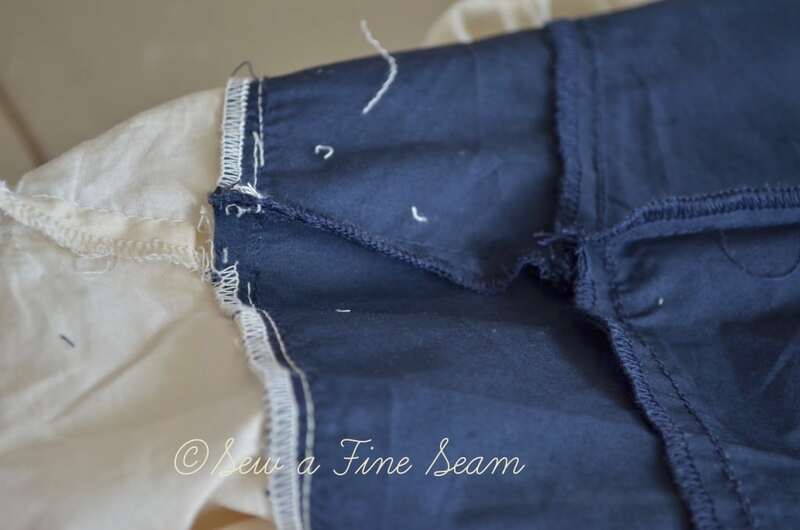 They were sewn up as 2 separate pieces – a bodice and a skirt – and then sewn together and I wanted to take them both in. 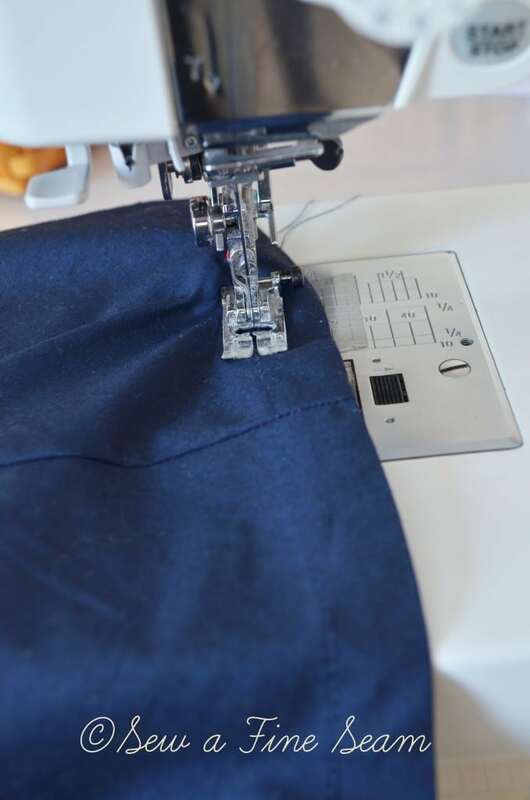 Once your lining is detached from the dress you are ready to take the side seams in. Right sides together, pin your side seams. 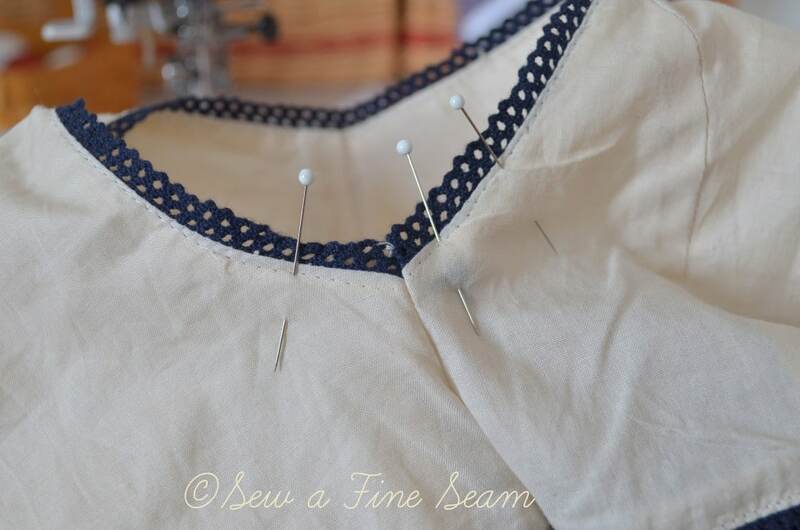 I used my seam gauge to pin about where my new seam was ging to go. 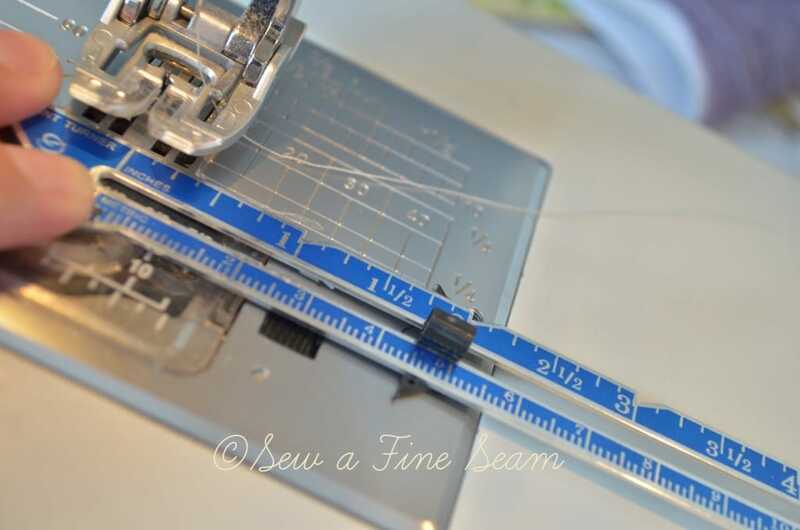 I used my seam gauge again to figure out which line on my machines sewing guide I needed to follow. 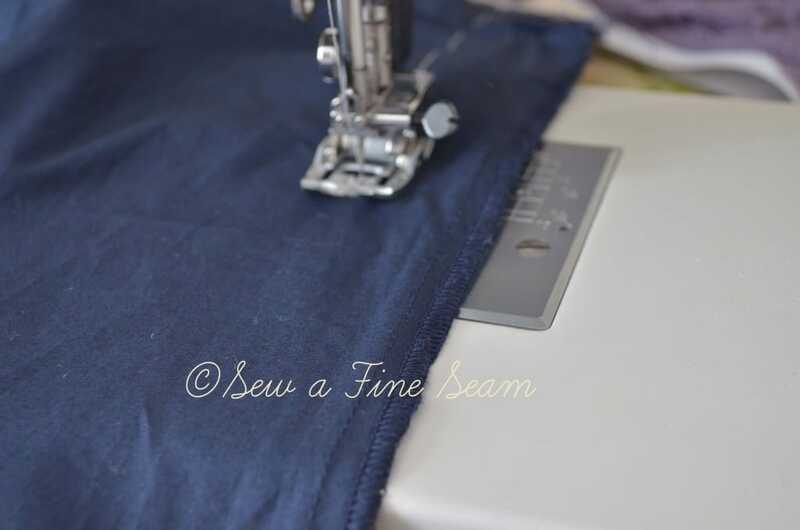 At seam lines you will be crossing just lay it as flat as possible an pin to hold it in place till you have it stitched in place. I sewed the same seam allowance all the way down. This dress is not very full and I didn’t want it to hang funny so I took it out all the way down. 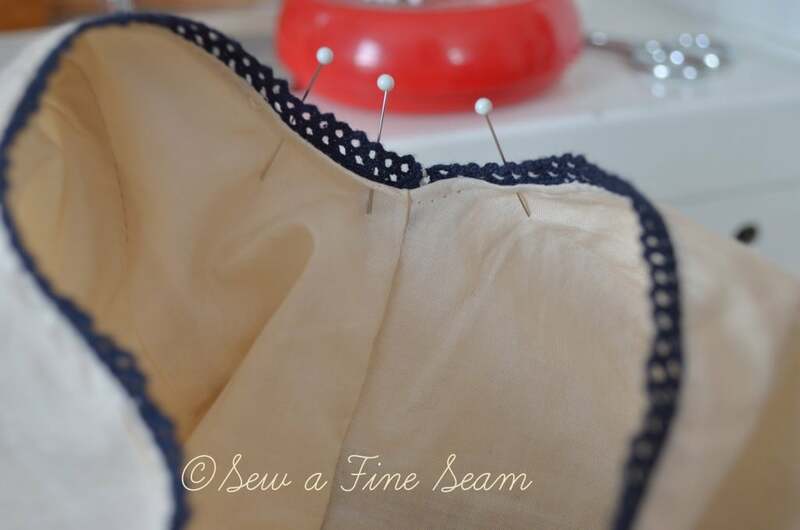 If you aren’t taking so much out of the dress you can get by with just gradually blending it to the original seam. 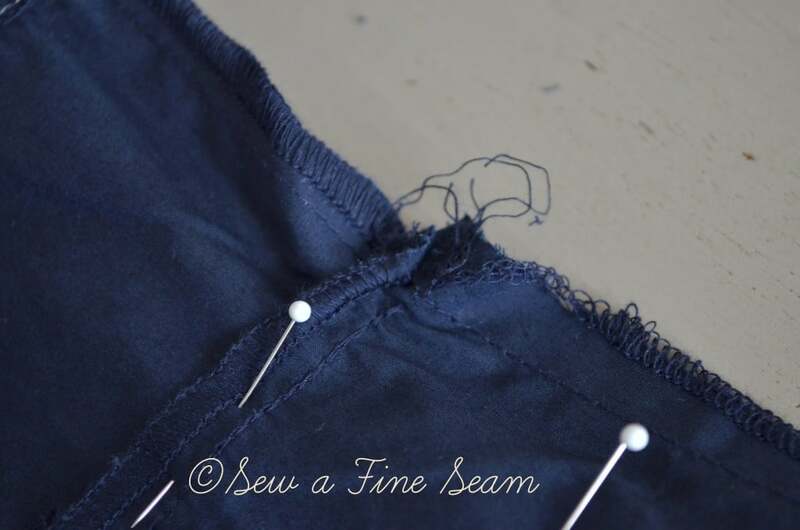 You will also need to take out the hem – several inches on each side of the side seam. 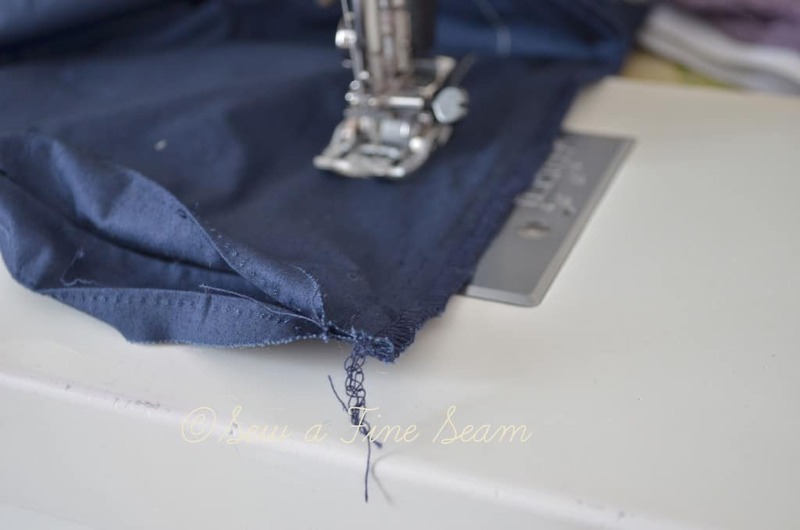 Your hem will need to be unfolded and laid flat. 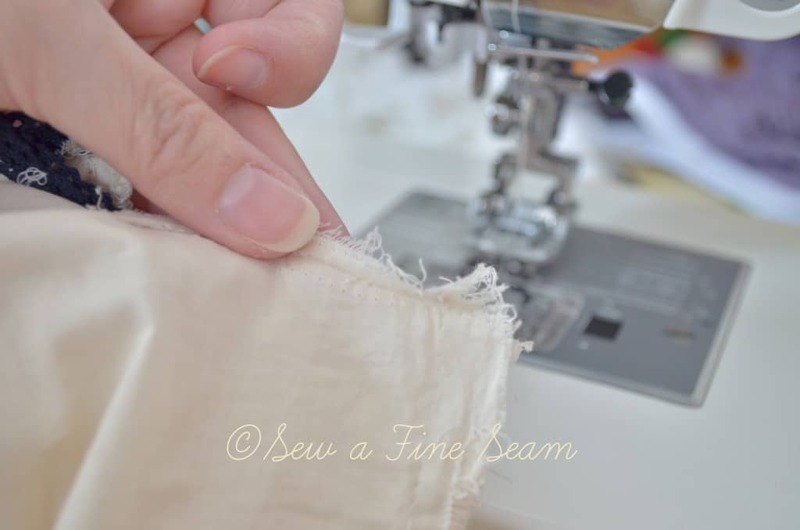 You will put the hem back in when you are finished altering the side seam. 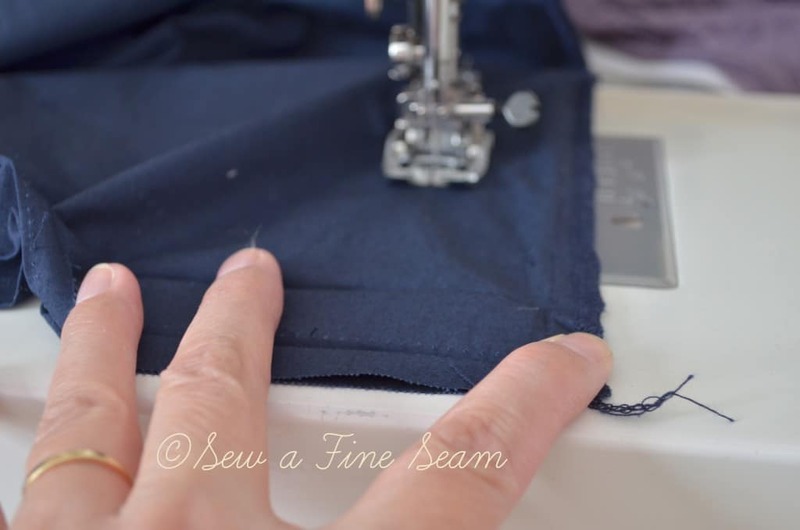 Sew all the way to the bottom! Do the exact same thing to the lining. 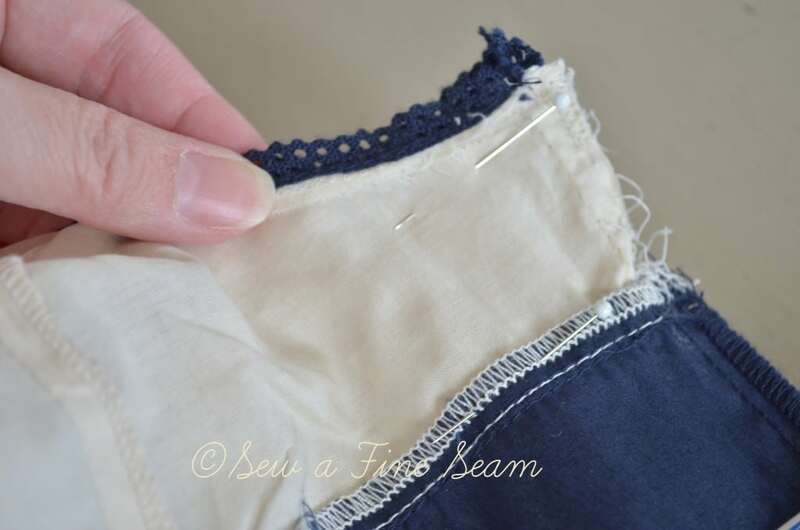 Take the hem out of the lining too and sew the seam the same all the way down just like you did on the dress. 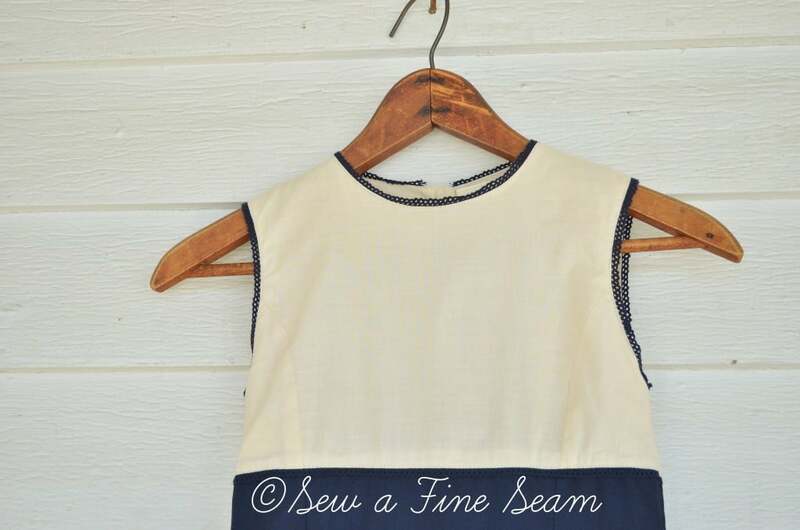 Try the dress on before you put the hem and armhole seams back together. I decided it was still a bit too gappy so I took it up a bit more. This time I took it up about 3/8 of an inch at the armhole and then gradually eased over to the first seam I made as I sewed down. 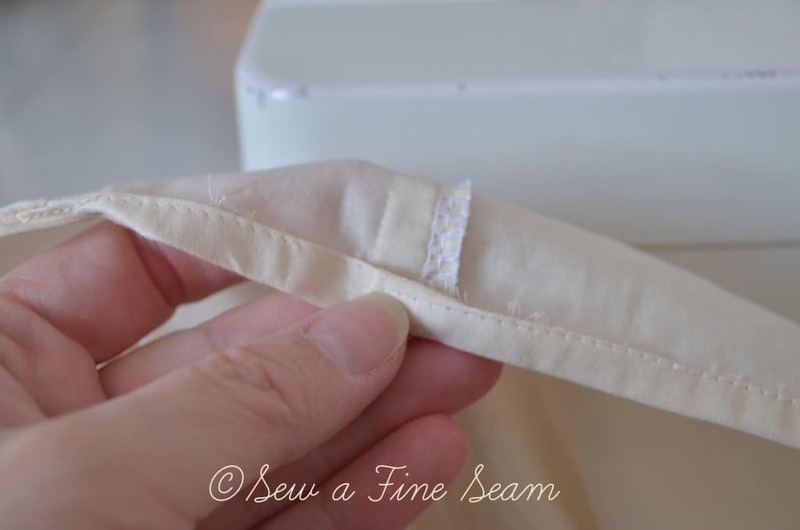 Make it very gradual and blend the two seams well, backstitching so it can’t come apart. Do the exact same thing to the lining. 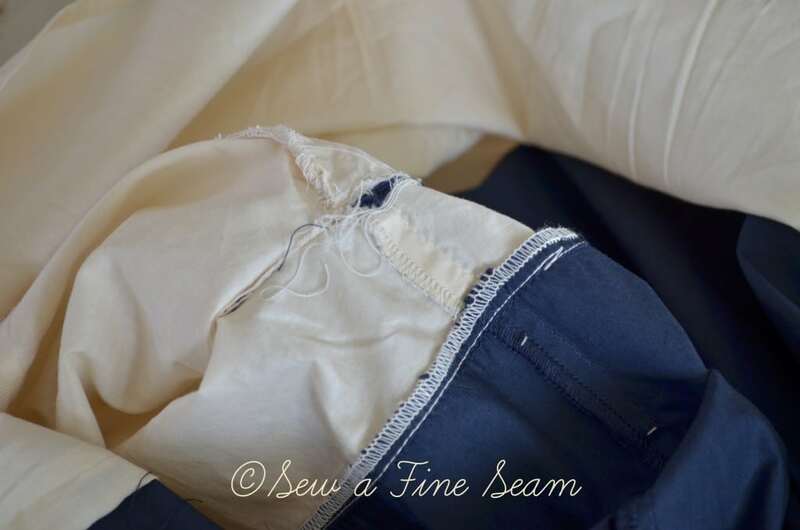 Serge off the excess so you have a normal seam allowance. Do the same thing to the lining. Now you are ready to put the lining back to the dress. Put the lining back where it was originally and pin. Here is the inside. 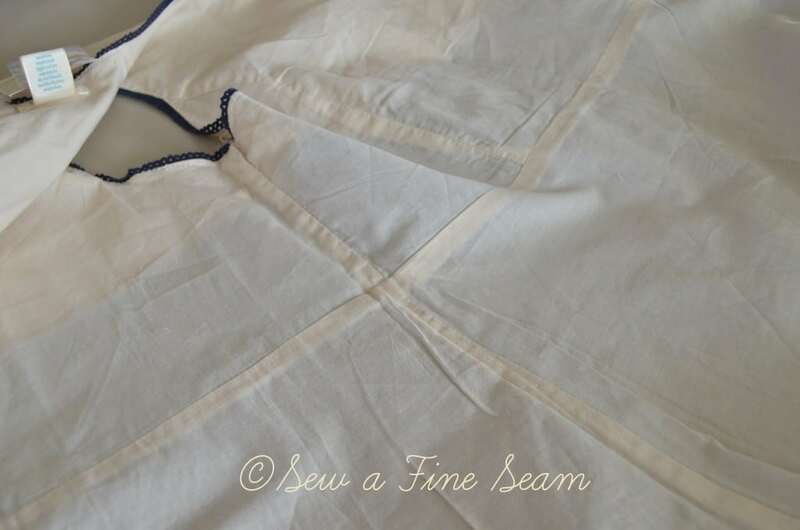 The raw edge of the lining is turned down and the lining covers the raw edges of the dress side. Top stitch the dress and lining back together. 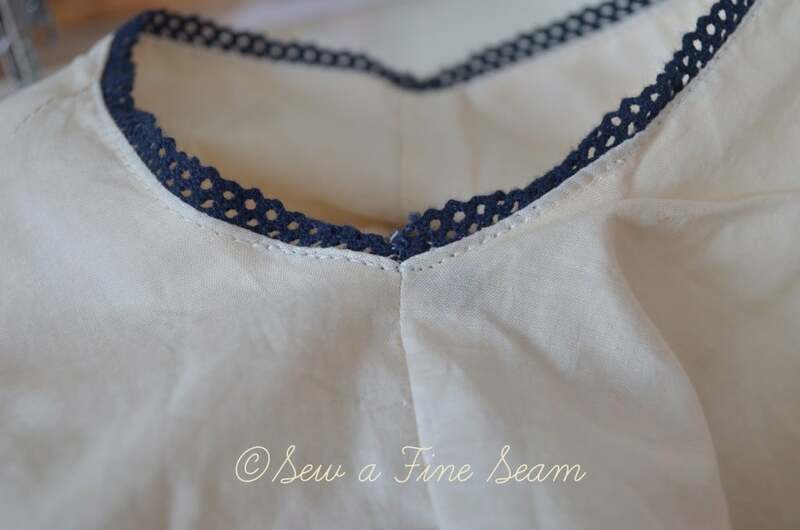 Top stitch the hem back in the dress. 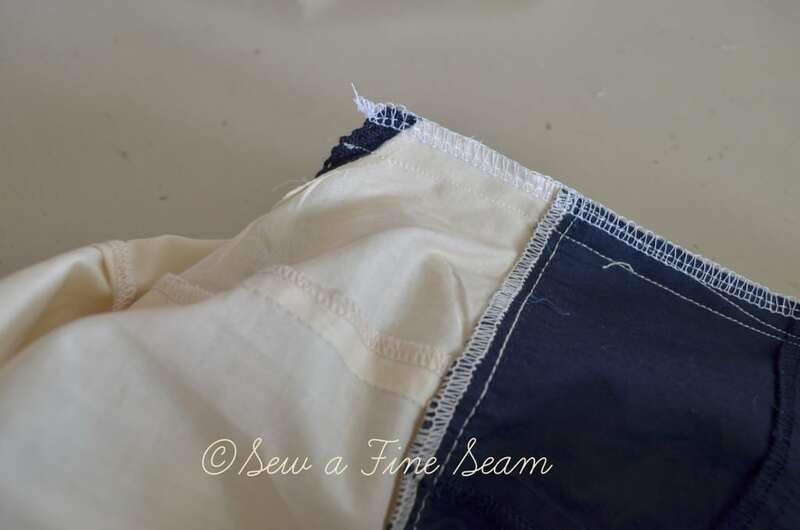 Sew the lining hem back in. Press everything well and congratulate yourself on a job well done! I think the back of the dress is so cute with the buttons all the way down the back. What do you think? Could you alter a dress like this? 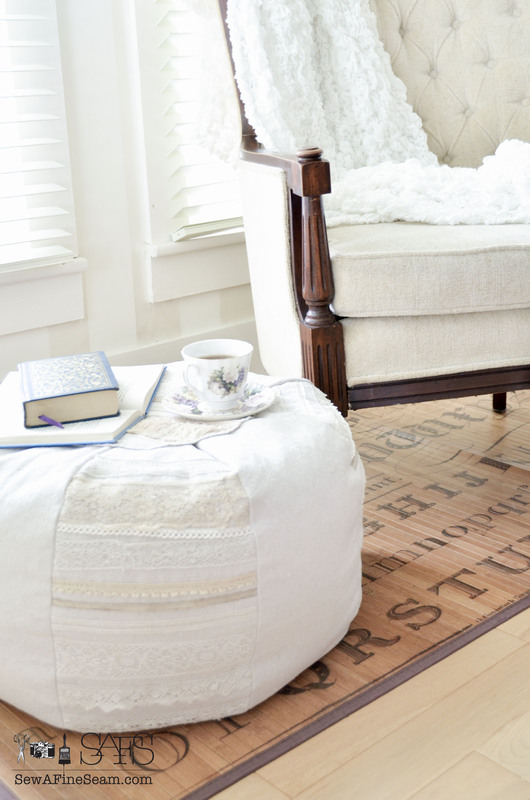 It’s one of the easiest alterations there is! Thanks, I like it on her. She doesn’t love it but she will wear it now and then. I like the dress but all that ripping and resewing isn’t my cup of tea! Glad you don’t mind doing it as it looks so cute on your little munchkin. You always seemed much more calm and laid back about ripping out than I was! 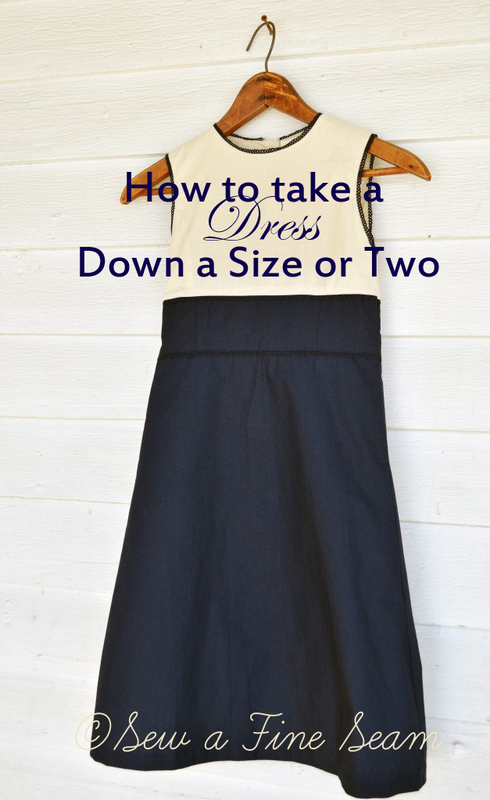 This is a great tutorial Jill, and such a classic dress. I’m glad you were able to make it work. A steal isn’t really a steal if it doesn’t work, right? Your modifications are so well done, it looks like it was made that way. Great job! Thanks Debbie – that’s what I kept thinking – this dress is not a good deal if it hangs in the closet till it is too short for her and it’s still to big around! So glad I took the time to alter it. My friend advised I will like that web site. They once was solely perfect. This particular blog post really built our time. You can not picture precisely how lots occasion I had created expended because of this details! Thank you! Thank you for your useful information! 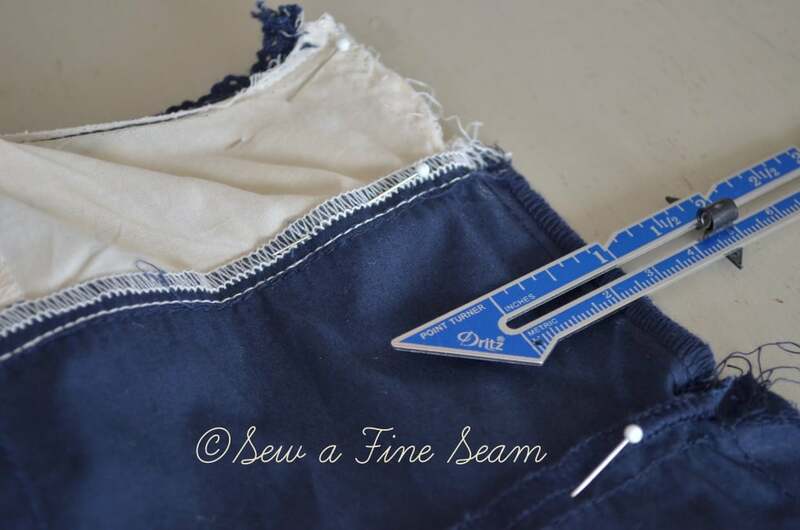 I am trying to re-remember sewing after 20+ years of not doing so. 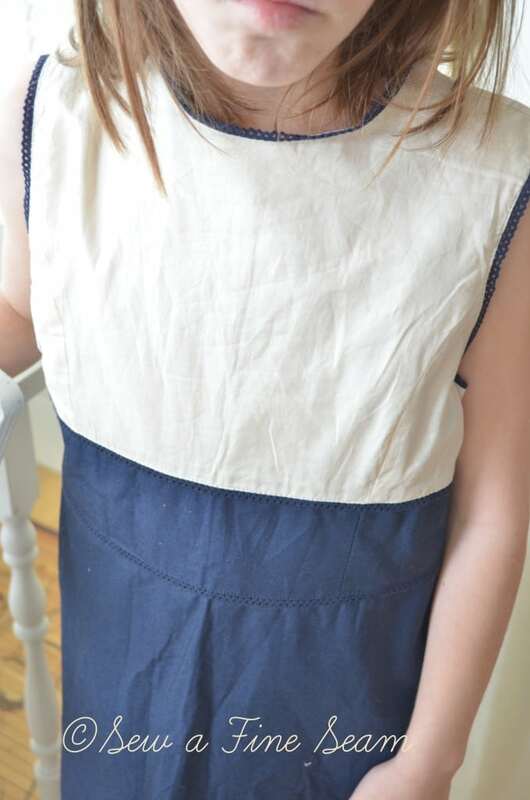 I know how to downsize at the side seams, but I am not sure how to downsize at the shoulders. Since our shoulders slant, I feel I should make narrow the width as well, so it would still allow free movement of the arms. Am I right? wrong? confused? Any and all of the above? ?